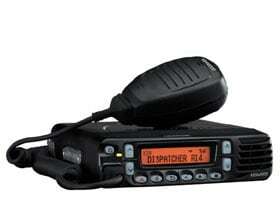 the business-use digital radio, NEXEDGE™ series. KENWOOD Corporation* (President : Kazuo Shiohata; Head Office: Hachioji, Tokyo) is pleased to announce that it will make a presentation at the world’s largest exposition of wireless radio communication equipment and systems, International Wireless Communications Expo (IWCE) 2009, which will be held from March 18 through 20 in Las Vegas, U.S.A. KENWOOD will offer various types of wireless communication systems suitable for a range uses from public safety to general operations, focusing on digital wireless systems for enterprise, NEXEDGE™ series, which is a prime growth area in the business & industry markets. * On October 1, 2008, KENWOOD Corporation became a wholly-owned subsidiary of JVC KENWOOD Holdings Inc., a joint holding company established through a share transfer following the management integration of KENWOOD Corporation and Victor Company of Japan, Limited. Since its founding, KENWOOD has been involved in the wireless radio equipment business based on radio-frequency technologies and to become a company with the second largest market share in the world in its mainstay field of land mobile radio (LMR) by capitalizing on its own technologies and advanced know-how. Following the commercialization of digital LMR conforming to P25 standards* targeted at public safety markets such as police and fire departments in North America, in December 2007 KENWOOD released the NEXEDGE™ series, digital LMR, which has grown rapidly from customers who wish to replace their analog systems, particularly in North America. KENWOOD also pursues growth strategies to expand its business fields from supplying wireless terminals to supplying wireless communication system solutions by carrying the products of Zetron, Inc., the U.S. systems-based communications company. At IWCE 2009, adopting a new type of booth emphasizing viewability in each display section, KENWOOD will present, under the theme of “Providing the Future of Radio Today,” a wide variety of products including the NEXEDGE™ series, digital LMR equipment, complete P25 product line*, and Zetron’s command and control systems (consoles and controllers) which are central to total wireless communication systems. KENWOOD will emphasize the merits of wireless communication system solutions to achieve a smooth transition to digitalization and cost effectiveness. * Standards for wireless communications for use in the public safety market such as in police and fire departments in the USA. Launched in the North American market in December 2007, the NEXEDGE™ series will be displayed. Products in the NEXEDGE™ series are available in both digital and analog formats and enable smooth and low-cost transition from analog systems. 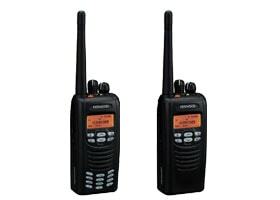 In communicating in a digital format, they realize noiseless communications, extended communication ranges and enhanced functions of data communications, all of which are features of digital radios. Since the NEXEDGE™ series can realize a simple and low-cost transition from traditional analog systems, it is the best system for developing of small- and medium-sized systems. It has been extensively introduced by public service authorities such as railroad and electric power companies and the business & industry market, as well as specialized mobile radio (SMR) operators that provide their own wireless radio communication networks as part of their business, resulting in growing number of orders. KENWOOD will also display business-use digital wireless radio equipment which meets P25 standards for public safety markets in the USA. As with NEXEDGE™, it has realized noiseless communications, extended communication ranges and enhanced functions of data communications which are features of digital radios. * EADS Secure Networks North America is a wholly owned subsidiary of EADS North America, which is the North American operations of EADS, the leading European aerospace and defense company. KENWOOD Group is “Reaching out to discover, inspire and enhance the enjoyment of life” as part of its bold, new vision for the future. As a leader in the field of “Mobile & Home Multimedia Systems”, KENWOOD is comprised of three businesses (Car Electronics, Communications Equipment and Home Electronics), 13 domestic and 27 overseas subsidiaries around the world.